Symmetric rearrangeable networks (SRN) (Chakrabarty, Collier, & Mukhopadhyay, 2009) make efficient use of hardware, but they have the disadvantage of momentarily disrupting the existing communications during reconfiguration. Path continuity is a major issue in some application of rearrangeable networks. Using repackable networks (Yanga, Su, & Pin, 2008) is a solution to the path continuity problem in SRN. These networks provide functionality comparable to that of strict sense no blocking networks (SNB) but with minimum increase in the hardware than SRN. 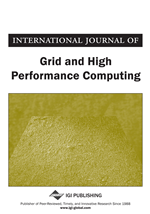 This paper proposes an efficient implementation of multistage symmetric repackable networks requiring optimum hardware cost than the method proposed in the literature. Cost optimization is achieved through the use of minimum number of bypass link(s). Investigated method works for networks built with more than three switching stages and shows promise of scalability. Most proposals for repackable networks are based on 3-stage Clos networks. Ackroyed (1979) first introduced the concept of repacking for 3-stage networks. He proposed using one of the middle stage subnetworks for routing all the requests. This is generally termed as packing. If this packing technique results in blocking, the other subnetwork is used to route the blocked request. At a later time, that request is rerouted via the packed subnetwork. Jajszczyk and Jekel (1993) provided the basic condition for a 3-stage Clos network to be repackable. If and being the input and output for the each input (output) stage switching elements and being the number of switching elements in the input (output) stage} respectively then repackable condition is, Jajszczyk and Jekel (1993) explained that using a repackable network, it is always possible to establish connecting paths between an input and output. His proposed method routes requests from the less used subnetwork to the most used one before the arrival of a new request. Schehrer (1999, 2000, 2001, 2007) proposed two method of reswitching in a repackable network sequential simultaneous. The term reswitching is different than rearrangement, as it means putting requests through the bypass network or paths, and put back to rearrangeable network once paths have been rearranged and making the bypass network or paths free for future use. In sequential reswitching paths need to be rearranged are selected sequentially and put through the bypass paths. Once the paths are rearranged in the rearrangeable network they are put back to their new routes and then new set of paths are selected for the reswitching. On the other hand, simultaneous reswitching selects the smallest number of paths needs to be rearranged and then put them to the bypass links or network. Once the paths are rearranged in the rearrangeable network, they are put back to their new routes together.